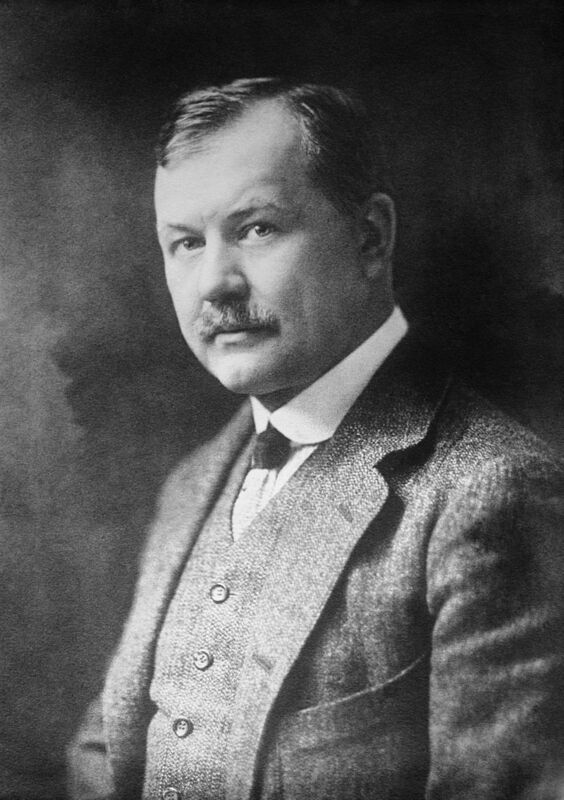 Franz Lehár’s The Merry Widow has waltzed around the world for 110 years now. There may not be as many Merry Widow byproducts as there used to be—cigarettes, hats, cocktails, entrees and desserts, although a provocative undergarment is still around. But the operetta itself remains perennial and permanently popular in one form or another. It has been repeatedly re-orchestrated, the vocal lines transposed up or down (the male lead has been sung both by tenors and baritones, although the composer strongly preferred tenors), the characters renamed, the score either cut to shreds or augmented by other music by Lehár, or not by Lehár at all; the dialogue and the lyrics have been translated, re-translated, the book revised and completely rewritten, in more than a dozen languages. Lehár made some revisions and additions himself for later productions, and, three decades after the premiere, finally produced an overture—although the piece has also often been performed with overtures by other hands. There were three Hollywood films, the best of them featuring Jeannette MacDonald and Maurice Chevalier, the worst with Lana Turner and Fernando Lamas. The most complete discography lists 87 audio recordings in nine languages, including Romanian, Russian and Japanese, and there are more than a dozen videos of live productions. No one, not even Lehár himself, expected this wildfire, and enduring, success. Lehár came from a musical family and was well-trained. From an early age, he was an accomplished violinist, and he grew up to become a successful and busy bandmaster. But his goal was to become a composer; he had good teachers and advisers, including Antonín Dvořák. He did compose a popular concert waltz, “Gold and Silver,” but he wanted to write for the theater. By the time he was 35, in 1905, the year of The Merry Widow, he had attempted three operas and six operettas, but only five of them had reached the stage, and all of the ones that had been performed had failed. Hopes did not run high for the tenth of them, The Merry Widow, which he had hastily composed for the Theater an der Wien in Vienna—there he was the second choice, because another composer had been hired to produce a score for the same libretto, but the theater found the music so weak it refused to produce the show. The management didn’t have much more confidence in Lehár—the production was assembled from sets and costumes created for other operettas. Such was the overwhelming success of The Merry Widow—the biggest in Viennese operetta since Strauss’ Die Fledermaus three decades before—that it didn’t take long before the theater commissioned extravagant new sets and costumes. So what were the reasons for the overwhelming success of The Merry Widow? There is a serviceable and moderately amusing plot, based on a French play by Henri Meilhac written 44 years previously. (Meilhac has his own place in the history of opera, as the librettist for Bizet’s Carmen, Massenet’s Manon and many works by Offenbach; curiously and coincidentally, Die Fledermaus was based on another play by Meilhac.) Lehár’s Viennese librettists, Viktor Léon and Leo Stein, knew their business. The two leading characters, Danilo and Hanna, have met again after he rejected her because she was not his social equal—he is a count and she was originally a farm girl. She then married someone else, who has left her an extremely rich and merry widow; Danilo’s patriotic duty is to marry her to keep her fortune in the operetta's mythical country of Pontevedro. The two are intelligent and verbal, but locked in antagonistic positions—descendants of Shakespeare’s bickering lovers Beatrice and Benedick in Much Ado About Nothing. Neither is either willing or able to state what he or she really feels, except by indirection—by telling, and singing, stories. What tells us how they really feel is the music. The score is a delightful suite of songs and dances, and not just waltzes—Hanna makes her entrance singing a mazurka; there are galops, marches, a polonaise, a cakewalk (! ), a can-can; anything to keep the feet moving. The music ranges across national styles—Viennese, where the operetta had its premiere; Parisian, where the opera is set; Hungarian (Lehár’s own native country); Balkan, where Pontevedro may not exist on the map, but the music puts it there. The melodies immediately lodge in the mind and take up permanent residence there, while the rhythms excite the spirit and captivate the body. The music is lavishly, luxuriously, imaginatively, exotically and even erotically orchestrated—The Merry Widow opened three weeks after the premiere of Richard Strauss’ Salome. The sound of the tamburica, a mandolin-type instrument from Central Europe, colors some of Hanna’s exotic music. Most tellingly, a solo violin and solo cello tell the audience exactly what Danilo and Hanna are thinking and feeling when they are not capable of doing so themselves. The famous “Merry Widow Waltz” is first heard in the orchestra; Danilo and Hanna then hum it because they haven’t found the words in themselves yet; and finally, they sing it. It has often been pointed out that The Merry Widow is more overtly sexual than any previous operettas—Freud was active in Vienna in this period. At the time, the book was considered daring and even risqué; to this day the music remains swooning and seductive; it flirts, teases, shivers, tingles and erupts in high spirits. But the most captivating character is Hanna, and it is no surprise that generations of singers from opera and operetta have been eager to take on the role. And why not—she gets to wear a glamorous wardrobe, including a exotic native Pontevedrian outfit, and make a grand entrance halfway through the first act; all anyone talks about in the story is how beautiful and how rich she is. 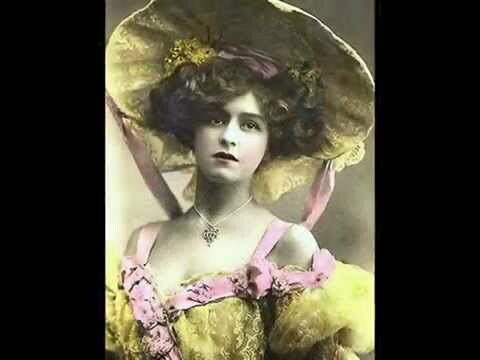 In recordings of the French version the men of the chorus exclaim “Ooh la la” as she comes on—in the German version, the men exclaim “Twenty million!” Her melodies are both lively and alluring, and there is an irresistible, sad wistfulness to her most famous moment, the “Vilja” song. The script gives the singer a lively character to portray, but the music also gives the prima donna a chance to parade her own personality. The honor role of performers of The Merry Widow is long. Elisabeth Schwarzkopf probably never performed Hanna onstage, even in her early operetta days, but she left two best-selling recordings. Other sopranos beloved in Vienna who sang it included Hilde Gueden, who flung around high Ds with abandon, and the velvet-voiced Lisa Della Casa; an unexpected Hanna was the charismatic German soprano Anja Silja, who sang the role with her then-husband Christoph von Dohnányi at the podium. In France, Francis Poulenc’s favorite soprano, Denise Duval, recorded La Veuve Joyeuse, a role a long way from Blanche de la Force in Dialogues des Carmélites which was composed for her; her Danilo was Jacques Jansen, the most famous interpreter of Debussy’s Pelléas. In addition to those listed above, America’s prominent Merry Widows have included Kitty Carlisle, Dorothy Kirsten, Rise Stevens, Patrice Munsel (who starred in a sold-out run in the opening season of Lincoln Center and recorded the role), television star Edie Adams (my own first Merry Widow), Anna Moffo, Maria Ewing, Cheryl Studer, Susan Graham and Ruth Ann Swenson. Hartford’s Teresa Stich-Randall recorded it—in French! And the elegant Barbara Bonney triumphed in the opera’s birthplace, Vienna. From 1958 on into the '70s, the reigning Merry Widow in England, Australia and New Zealand was bubbly June Bronhill; the public demanded she sing “Vilja” in most of her recitals and concerts during the remaining three decades of her career. She recorded the role twice—no soprano sang ever sang the English language more clearly than she did—and she entitled her autobiography The Merry Bronhill. Probably the most beloved Merry Widow of all, and certainly the most-traveled, was the Hungarian soprano and movie star Marta Eggerth. 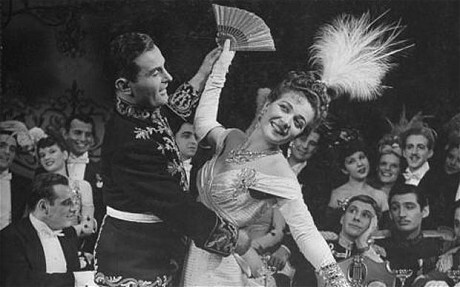 For more than two decades after 1943, the vivacious and beautiful Eggerth gave more than two thousand performances of The Merry Widow in America (including Boston) and Europe opposite her husband, the handsome and popular Polish tenor, Jan Kiepura; they performed their roles in five different languages, and after Kiepura died, Eggerth liked to sing a multi-lingual medley of Merry Widow melodies in her concerts and recitals. In 2000, in the Theater an der Wien, home of the world premiere, Eggerth sang that medley when she was 88. And she continued to perform until not long before she died in 2013, at the age of 101. Decades ago, here in Boston, there was a remarkable institution created run by an equally remarkable woman, Mary Wolfman Epstein, the New England Jewish Music Forum, and that organization presented a recital by Eggerth and her pianist son, Marjan Kiepura, in a Brookline synagogue—this would have been in the late 1970s or early '80s. Eggerth must have been nearly 80 at that time, but her voice was still clear, silvery and shimmering, her charm undimmed, and her elegant musical style was that of a vanished world. But it was a style with which her audience was familiar. Many were elderly—some of them, or their parents, had come to America to escape Hitler, just as Eggerth and Kiepura had. As she sang from The Merry Widow her voice sounded caressed by an aural halo; it was the audience humming along, celebrating not just a memory, but the life-force itself. Richard Dyer is a distinguished writer and lecturer. He wrote about music for The Boston Globe for more than 30 years, serving as chief music critic for most of that time. He has twice won the Deems Taylor/ASCAP Award for Distinguished Music Criticism. This article has been expanded from the spring 2016 issue of BLO's Coda magazine. Please see the issue online at www.blo.org/coda.